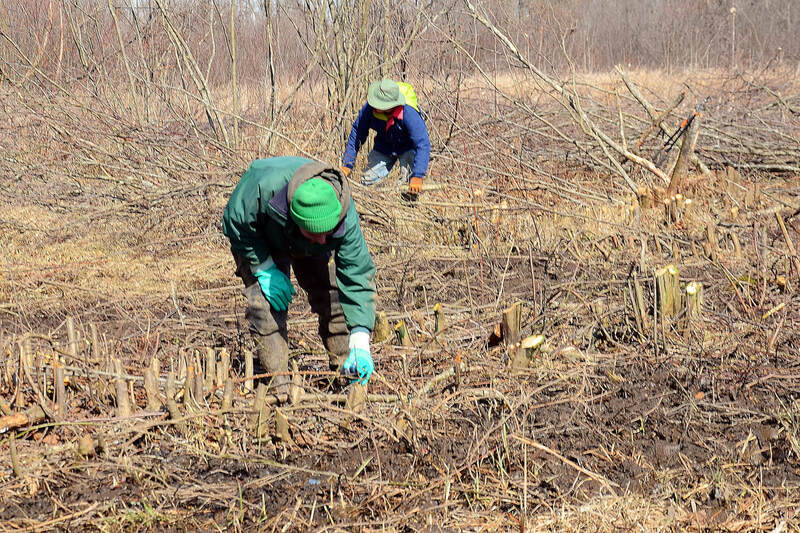 Volunteers build brush pile at Brinkhaven Barrens. Creating heat on a chilly day. The weather has been challenging so far this year, causing us to cancel (and reschedule) 3 stewardship projects already. 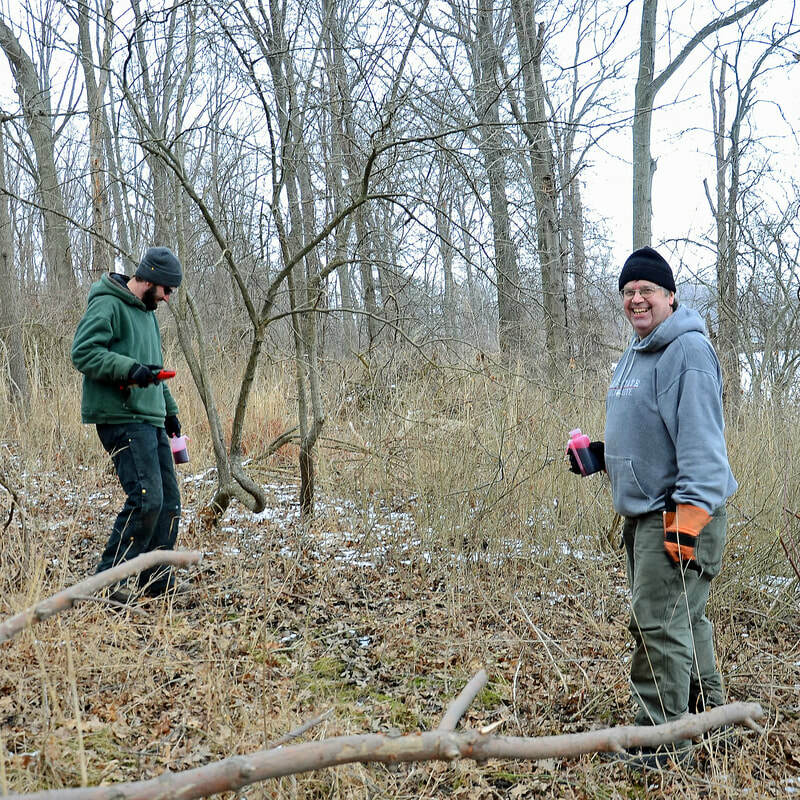 We did work at Brinkhaven Barrens on January 15 on a cold day. 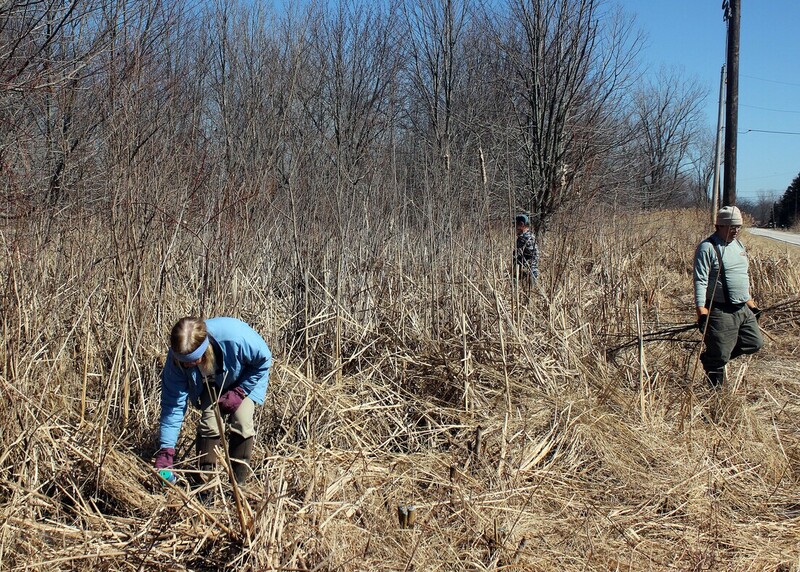 Three of us worked to remove a thicket of brush and dead woody stems in the south barrens. 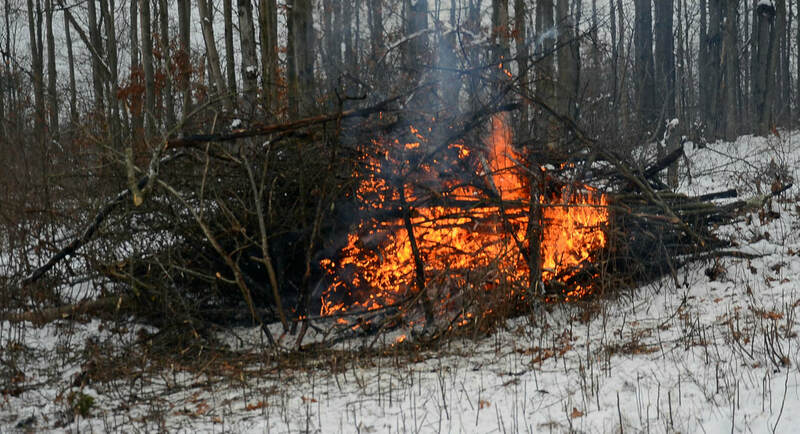 We built a large brush pile and burned the cut material which helped keep us warm. 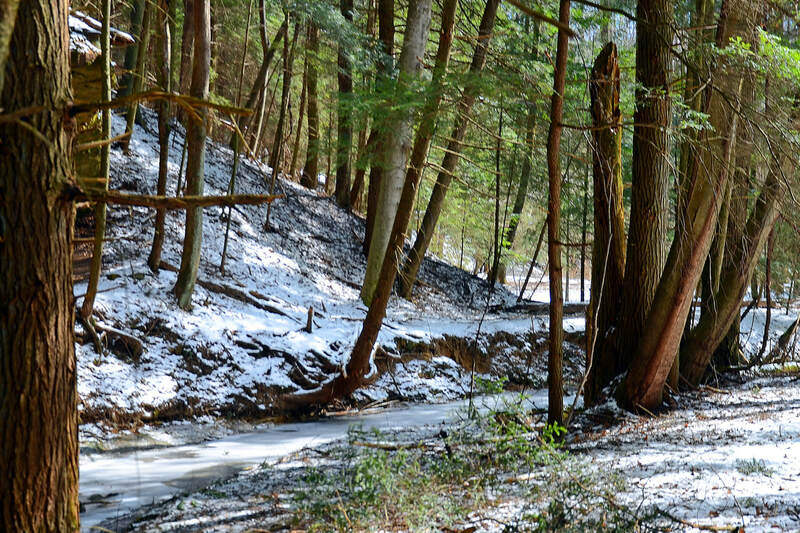 On February 19th, 8 volunteers and preserve manager, Josh Deemer surveyed a new area at Lake Katharine for hemlock woolly adelgid (HWA). It was an area not far from the known infestation and we found more HWA. 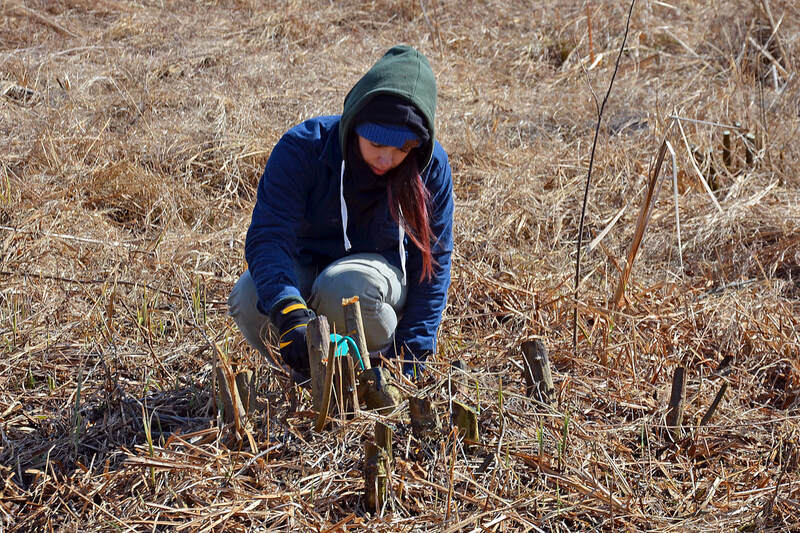 These surveys help the preserve manager document the extent of the infestation and determine what treatments will be used to control their spread. Fortunately what we found was a relatively light infestation. 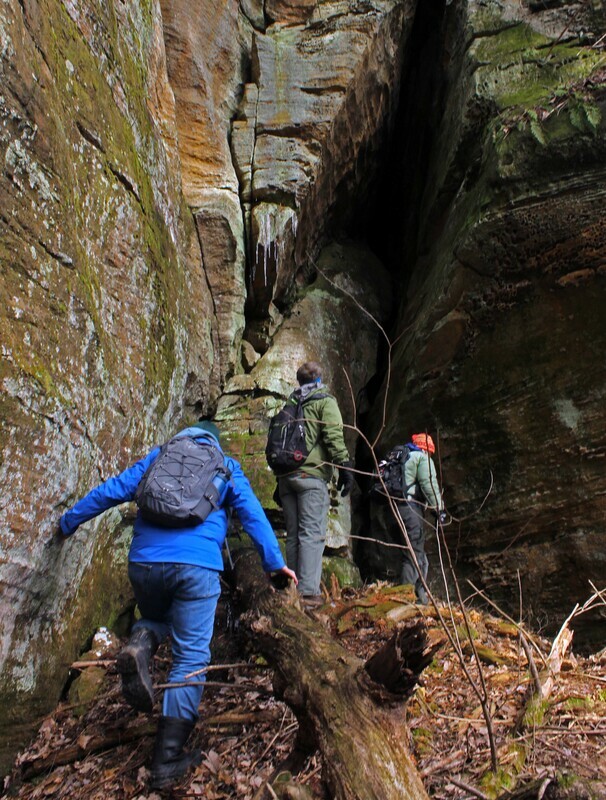 Hiking in to examine hemlock for signs of HWA at Lake Katharine SNP. 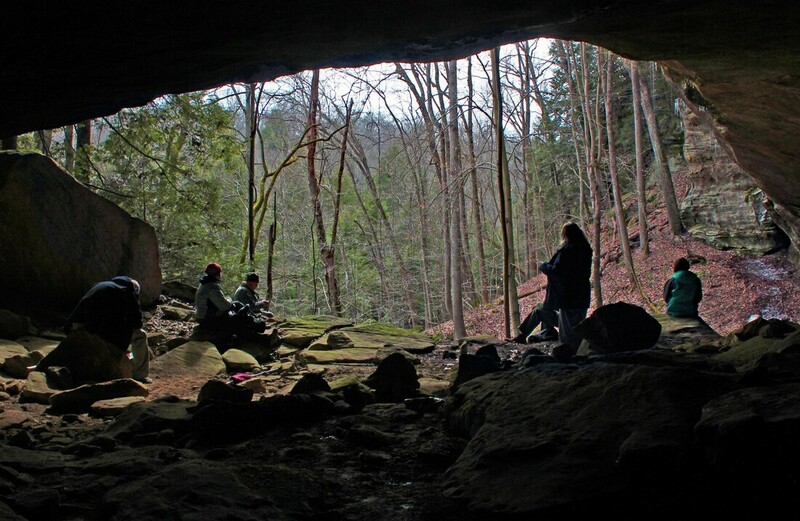 Volunteers enjoy the beauty of the preserve from cave. John and Karen examine hemlock branch for signs of the insect.